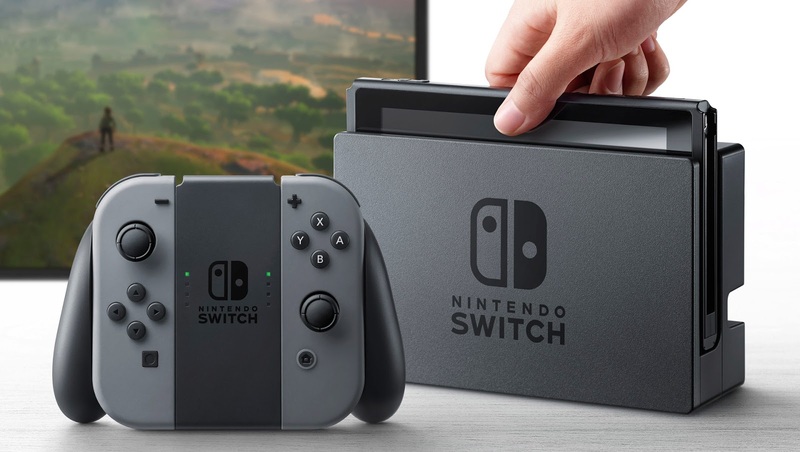 What seemed like it would be a slow week seven days ago turned out to be rather crazy, as Rockstar announced Red Dead Redemption 2, tons of intriguing movie trailers and gaming news dropped, and most importantly, Nintendo suddenly unveiled their long-awaited new console, the Nintendo Switch. We spend a lot of time analyzing all of these developments, especially the Switch, easily one of the most intriguing project Nintendo has undertaken in over a decade. What excites us about the new console, and what questions do we still want answered? All this and more makes for a busy, analysis-filled episode. Shin Godzilla is the first Toho-produced Godzilla film in twelve years, and it’s been one of our most anticipated films of 2016. Now it’s finally here, and we have lots of thoughts on what is undoubtedly one of the most powerful and unique films we’ve seen this or any other year. We review the film in full spoiler terms in the back half of the show, and before that, Jonathan talks more about the surprisingly delightful Paper Mario: Color Splash and the terrific second-season premiere of the CW’s Supergirl, while Sean continues his journey through the Japanese release of Persona 5 and shares thoughts on the pre-release beta of Dragon Ball: Xenoverse. And after both of us discuss this weekend’s Call of Duty: Infinite Warfare beta, Jonathan reviews the campaign of Gears of War 4, which is…okay. We elaborate from there. But the main attraction is definitely Shin Godzilla, and if you have a chance to see this film in theatres, you absolutely should. Shin Godzilla is the absolute most thrilling film about bureaucracy ever made, and I mean that as the highest form of compliment. 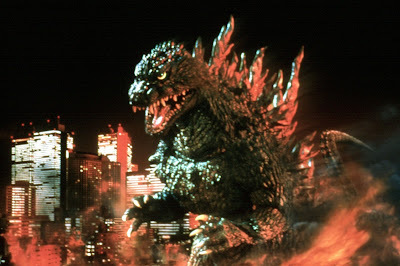 There comes a point, early in the film, where one wonders if directors Hideaki Anno (famed creator of Neon Genesis Evangelion) and Shinji Higuchi (a daikaiju veteran and special effects expert who recently helmed the live-action Attack on Titan films) – two men as eminently qualified to helm a Godzilla film as any alive today – have chosen to play a perverse trick and present their story strictly from the perspective of a boardroom drama. 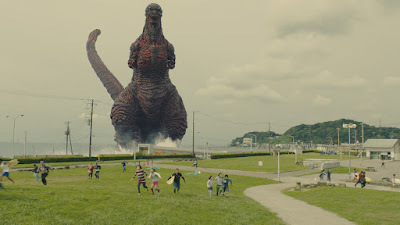 As a mysterious crisis unfolds in Tokyo Bay, Anno and Higuchi jump from interior to interior, boardroom to conference room to hallway to elevator, introducing politicians, government workers, assistants, experts, journalists and technicians at such a rapid rate that Shin Godzilla likely has more speaking parts in its first ten minutes than most narrative films do in their entire runtimes. 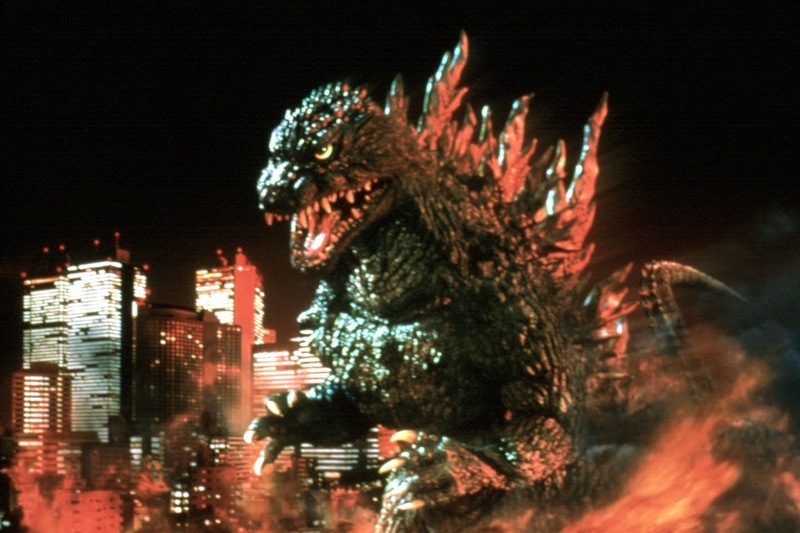 The film seems initially to grow out of the question “What would actually happen if Godzilla were to emerge in 2016 Japan?”, and Anno and Higuchi are fiercely committed to diving into every single element of the ensuing minutiae, no matter how small. On paper, it sounds boring. In practice, this is one of the most immediately gripping and consistently involving mainstream films I have seen in years. Even setting aside the sheer magnitude of cinematic craft on display here – we’ll get back to that soon enough – what Anno (also the writer) has accomplished on a basic scripting level is positively dizzying. 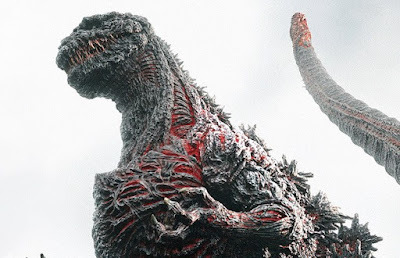 A Godzilla film where the government’s response to the crisis isn’t a distraction until another monster shows up, but the absolute heart and soul of the movie, a film that starts out bound and determined to demonstrate the importance of the minutiae all other disaster movies ignore, and gradually broadens its scope until it becomes clear Shin Godzilla is about nothing less than a battle for the sociopolitical heart of Japan itself.